Autodesk makes software for people who make things. 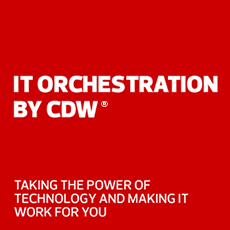 CDW can help you choose the right path to your future. Autodesk makes software for people who make things. If you’ve ever driven a high-performance car, admired a towering skyscraper, used a smartphone or watched a great film, chances are you’ve experienced what millions of Autodesk customers are doing with their software. Is it almost time to renew your Autodesk perpetual licenses? It may be a good time to consider Autodesk Subscription. You can save on any eligible software including our industry collections, AutoCAD, Civil 3D, Revit, Inventor, 3ds Max, Maya and many more. Autodesk industry collections are suites of software packaged specifically for building, construction and infrastructure design; product design and manufacturing; and media and entertainment. When you subscribe to AutoCAD, get access to specialized toolsets for architecture, mechanical design, electrical design and more, plus enhanced web and mobile apps. Sit back and enjoy this stunning collection of visual effects work created by Autodesk customers. As a global leader in 3D design, building, engineering and entertainment software, Autodesk gives you the power to Make Anything.